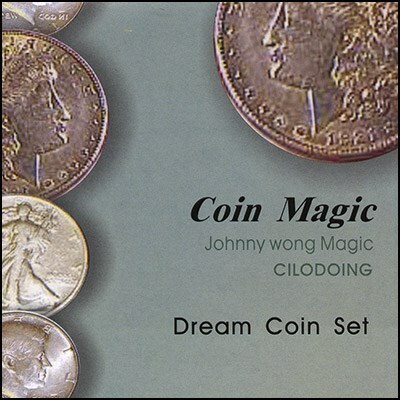 This great new coin set from Johnny Wong is perfectly named. It is truly a dream come true! There are so many routines possible with this coin set, and we are positive you will "dream" up even more. You will learn a fabulous Coin Assembly, a version of Three Fly that will make your audience's eyes pop, the Production of Four Coins and the Vanish and Re-Appearance of Three Coins. Every routine is made more powerful and easier through the use of these precision-made US half dollar coins.